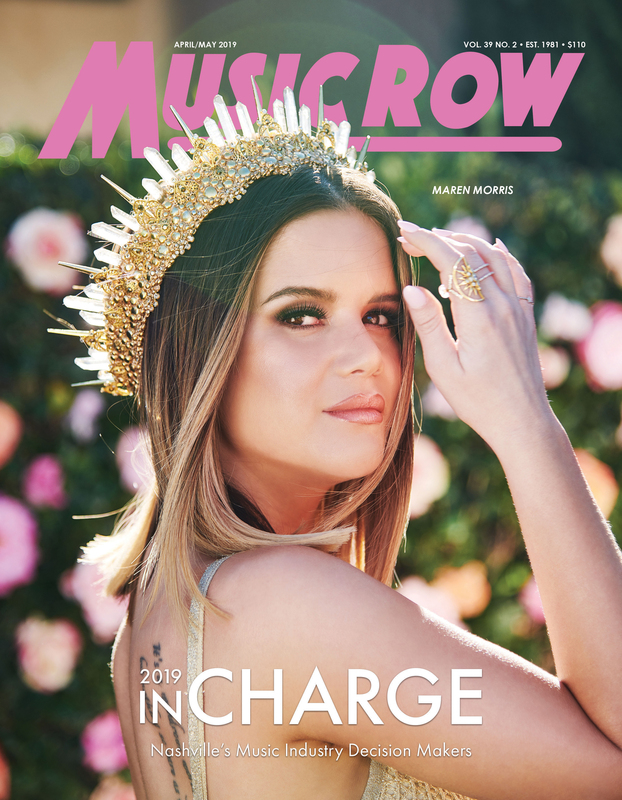 The Band Perry’s “Don’t Let Me Be Lonely” finds love with MusicRow’s stations, landing at No. 1 with 3233 spins. Meanwhile, Eric Paslay’s “Friday Night” remains at No. 2. 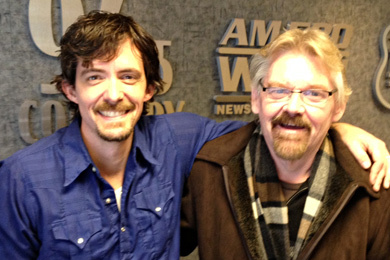 Jake Owen’s “Days of Gold” climbs to No. 3, while Cassadee Pope’s “Wasting All These Tears” jumps to No. 4. Florida Georgia Line’s “Stay” lives up to its name, rising to No. 5. Rounding out the Top 10 this week is Eli Young Band’s “Drunk Last Night” at No. 6, David Nail’s “Whatever She’s Got” at No. 7, Zac Brown Band’s “Sweet Annie” at No. 8, Cole Swindell’s “Chillin’ It” at No. 9 and Dierks Bentley’s “I Hold On” at No. 10. Stations are thirsty for Luke Bryan’s “Drink A Beer,” which is the week’s greatest gainer again, rushing to No. 26 with another 711 spins. Jason Aldean’s “When She Says Baby” debuts at No. 55 with 466 spins. Florida Georgia Line’s “Stay” ascends to No. 5 with another 354 spins, while Lady Antebellum’s “Compass” leaps to No. 14 with 273 more spins. Finally, Justin Moore’s “Lettin’ The Night Roll” moves to No. 31 with 267 more spins. MusicRow welcomes six superb debuts this week, with Aldean’s “When She Says Baby” debuting at No. 55, Aaron Watson’s “July In Cheyenne” at No. 76, Granger Smith’s “Miles and Mud Tires” at No. 77, Dallas Smith’s “Tippin Point” at No. 78, Hoyt Hughes’ “All Good In The Woods” at No. 79 and Callie Bobsin’s “Back Then” at No. 80. 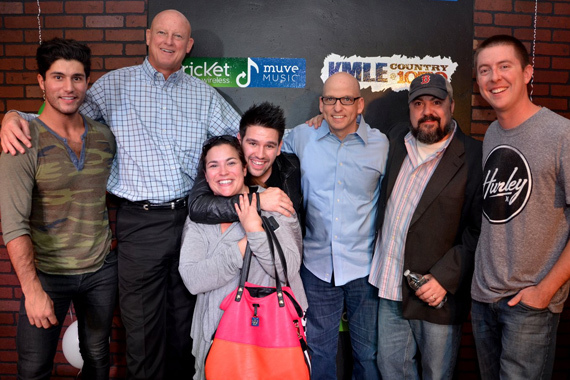 Dan + Shay recently stopped by KMLE on their west coast promo tour in support of the debut single “19 You + Me,” which lands at No. 61 after only three weeks rising! Pictured (L-R): Dan Smyers, Tim Pohlman (GM), Shay Mooney, Raffaella Braun (WMN), Tim Richards (PD), Chris Palmer (WMN) & Drew Bland (MD). 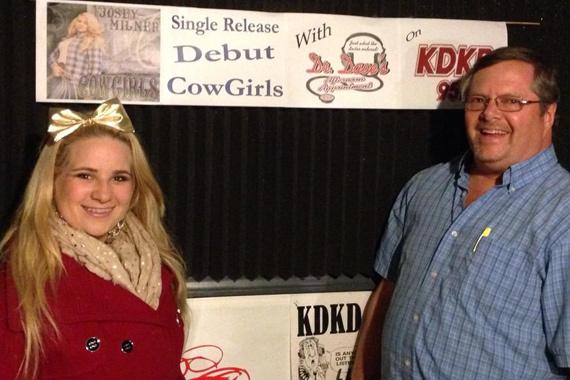 MTS Management’s Josey Milner (L) recently premiered her single, “Cowgirls” with Dr. Dave Young (R) on KDKD in Clinton, Mo.